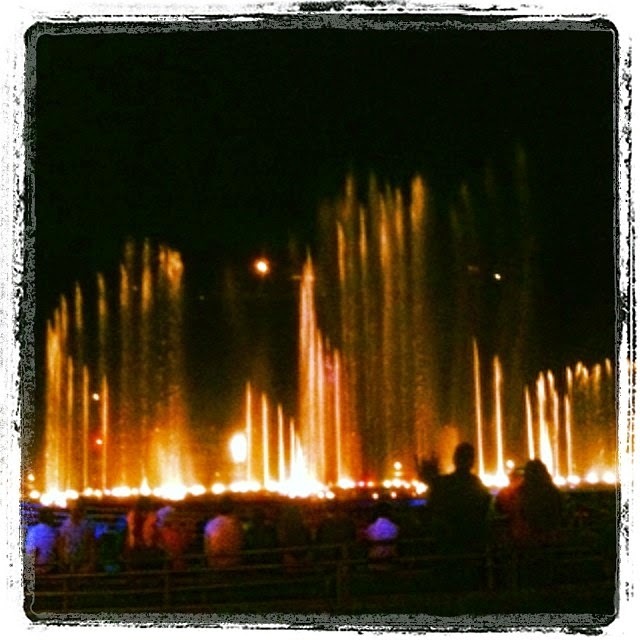 Did you know Branson MO had a fountain show similar to the Bellagio in Vegas? We didn't! But Lizzy and I took a girls' road trip for a day at the mall (and seeing as how there are no malls even remotely close, that guarantees a road trip!) and we enjoyed the light/water/fire/music show at Branson Landing. We took the kids to the Bellagio back in 2010 and I've been there for approximately a gazillion conventions and they never get old. Hopefully we can take the boys back to this one soon!